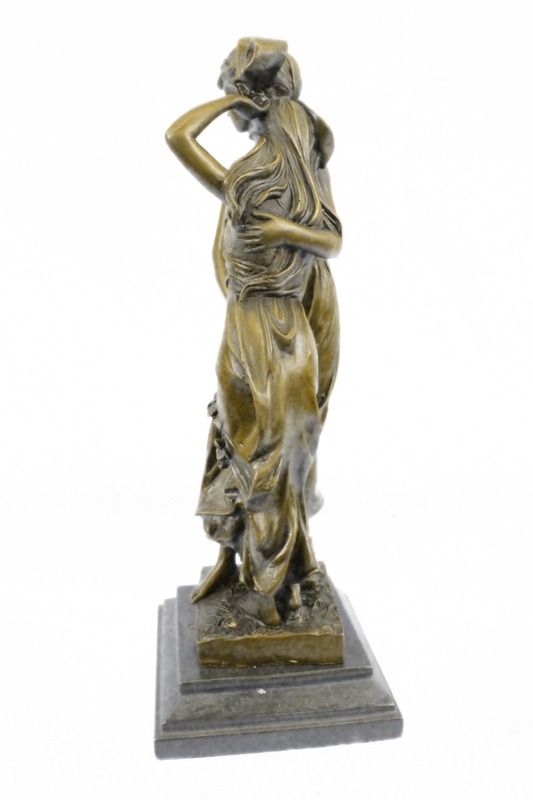 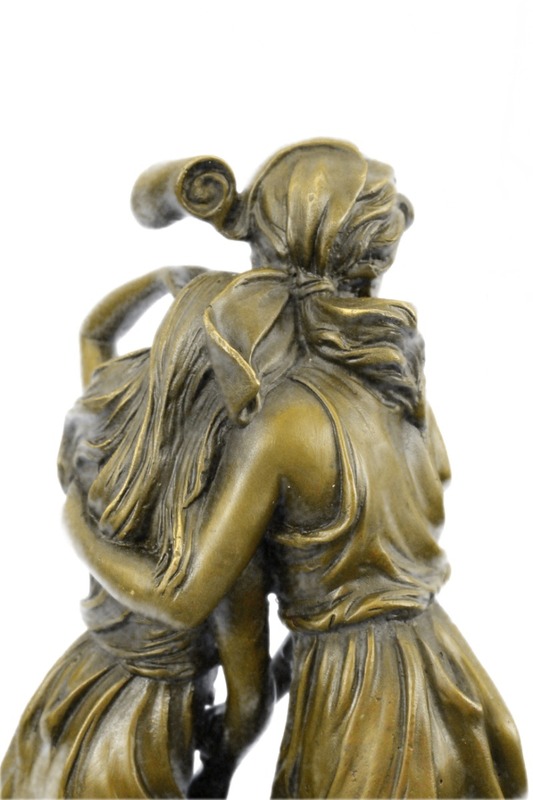 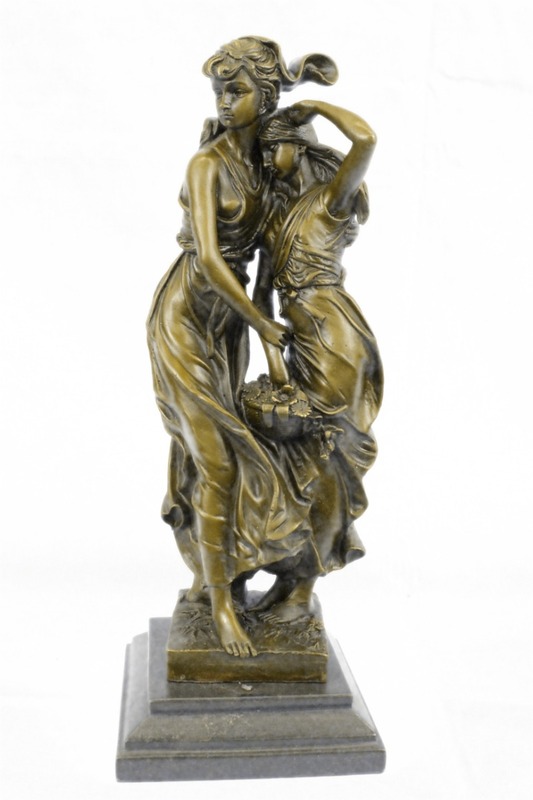 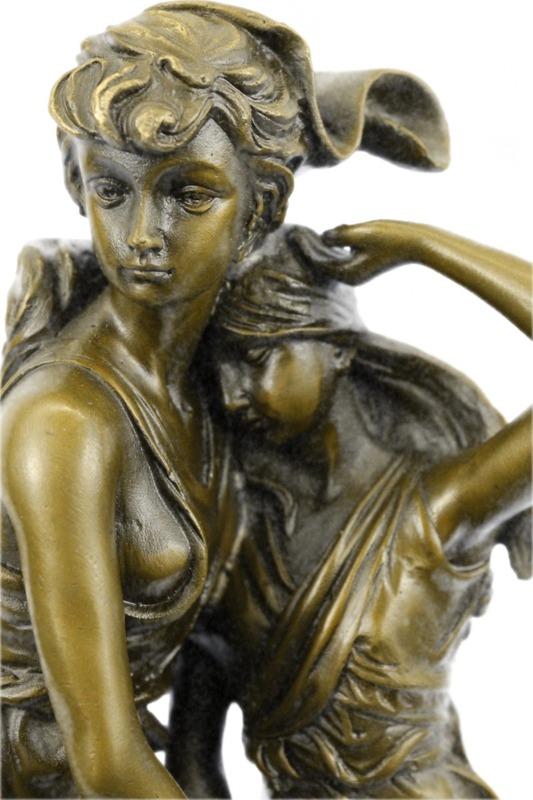 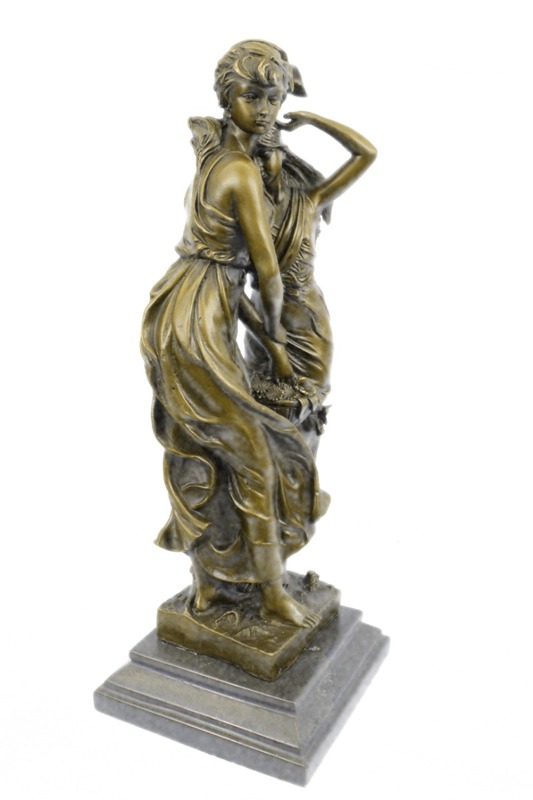 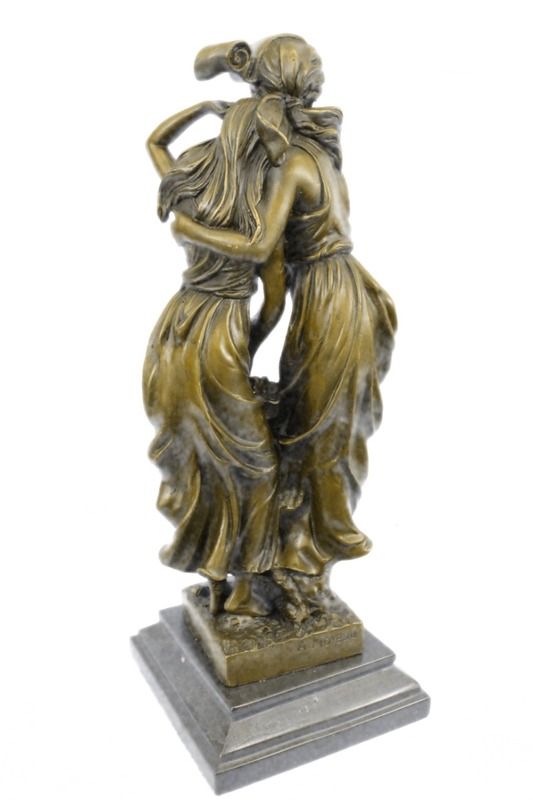 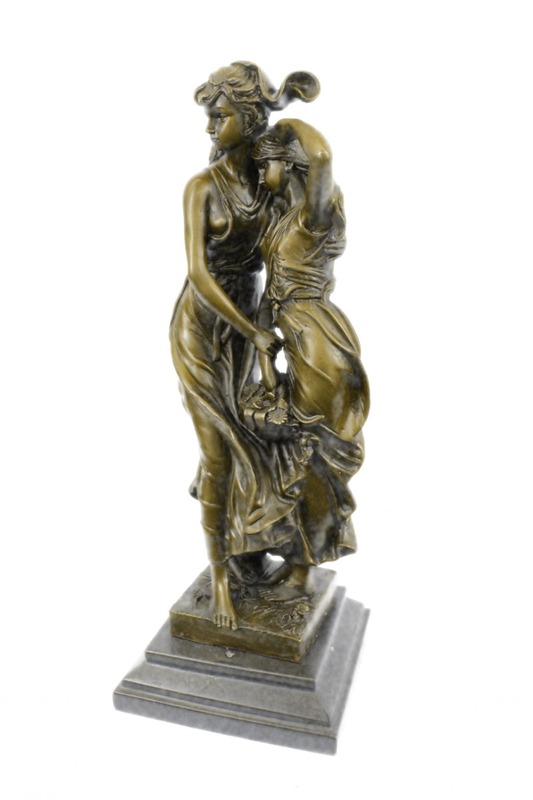 A Bronze Figural Group Of Consolation Depicting Two Young Girls In Flowing Dresses, One Holding The Arm Of The Other, The Other Holding A Ribbon Tied Basket Of Flowers, This Sculpture Was Casted Using The “Lost Wax Method” And Has A Brown Patina. 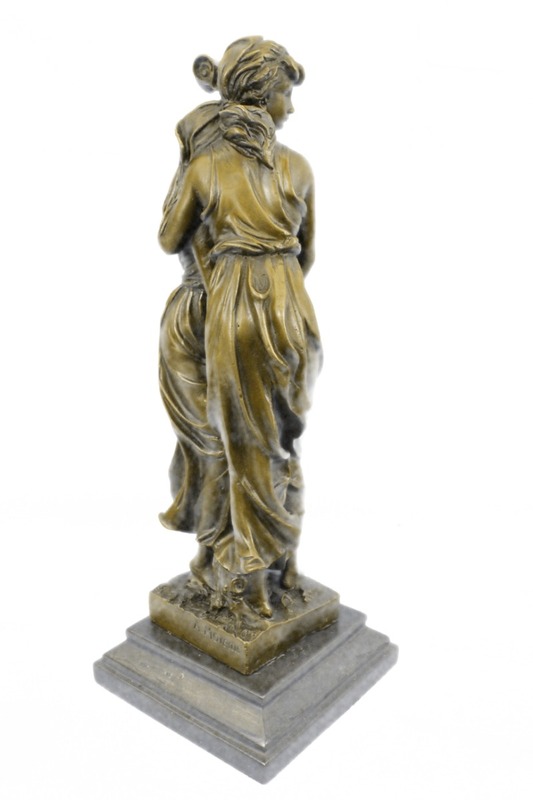 It Is Handmade And Sits On A Marble Base. 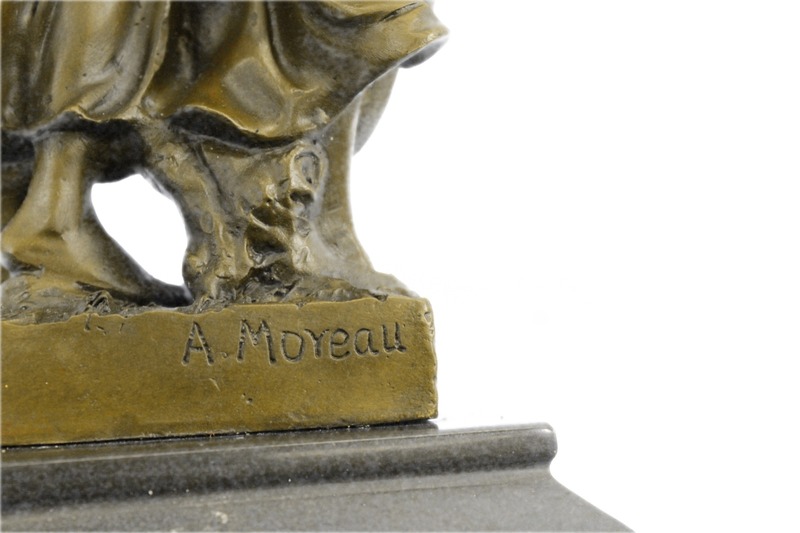 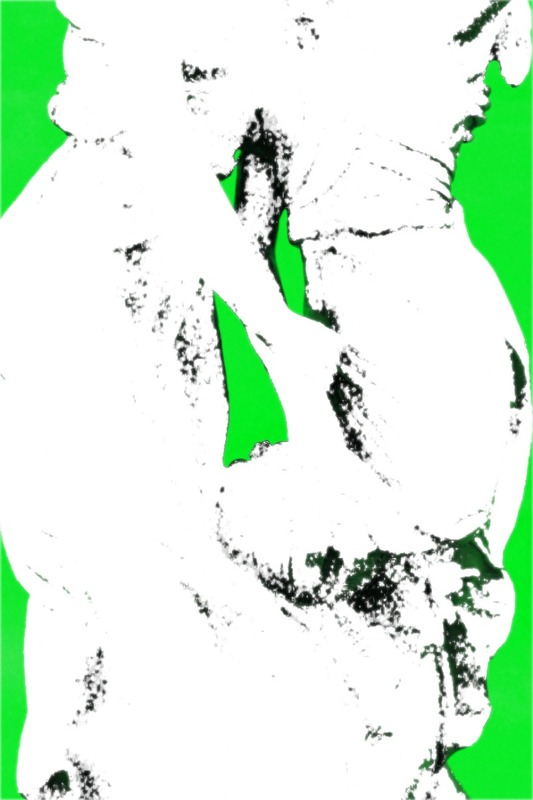 This Sculpture Is Signed By The Artist Moreau.